The position of Russia has always been difficult. In spite of the Revolution in 1917, the legal, economic, social and political inequalities between men and women have remained severe. For more than seventy years the official propaganda of the Soviet system deliberately concealed from the public, in the West as well as the East, the actual position of women, presenting it in rose-colored hues and proclaiming that, under socialism, the issue of the position of women in society had been resolved once and for all. However, the opposite was true: women increasingly suffered from overt and covert discrimination. In fact, the discrepancy between the official and actual positioning of working women became so acute that it led to serious social problems. The democratic reforms of the mid-1980s brought some positive changes at last; for the first time, the "women's issue" was recognized as an urgent socio-political problem requiring serious investigation and practical measures. 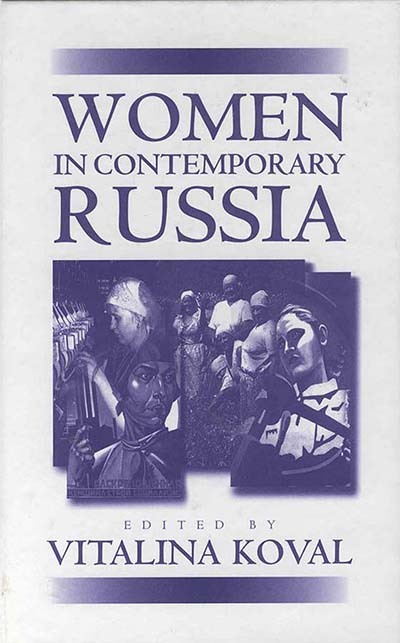 The authors of this collection of original essays, most of whom are social scientists at the Moscow Academy of Science, examine those aspects of life of women in Russia today which aremost pressing, not least those arising from the multi-ethnic composition of the Russian Federation that comprises more than one hundred different nationalities and in which women constitute fifty-three per cent of the population. Vitalina Koval is Senior Fellow in Politics and the Labor Movement of the Russian Academy of Science.